The author attempts to answer why some warfare draws attention while other examples are ignored. STEALTH CONFLICTS: How the World's Worst Violence is Ignored. Virgil Hawkins. Ashgate. 234 pages. $80. More than six million people perished over the last decade in the wars in the Democratic Republic of Congo, and the Western world's response was little more than a collective shrug. Yet when 10,000 people died during the conflict in Kosovo, the result was a sustained international military intervention. These are but two of the jarring examples that Virgil Hawkins, a professor at Osaka University's Global Cooperation Center, uses to ponder this question in his important and perceptive new book. Examining a range of conflicts from Africa to the Middle East and Europe, Hawkins seeks to thoroughly dissect why some instances of warfare draw the world's attention while other examples are ignored. 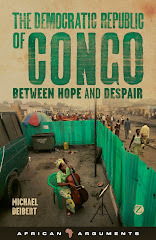 Hawkins argues that the end of the Cold War infinitely complicated matters, as it ''significantly accelerated the rise of warlord politics'' in states such as Cote d'Ivoire, the DRC and Somalia, all of which have been host to brutal civil wars in the past decade. Though Africa accounts for 90 percent of the world's conflict-related deaths, Hawkins discovers that conflicts on the continent are often met with a condescending ''African solutions for African problems'' refrain. He cites the fact that, from 1999 until 2006, the DRC received only 54 percent of its emergency humanitarian aid requests from the United Nations while Sudan received only 65 percent. Iraq and Europe (including the former Yugoslavia), by contrast, received 91 percent and 68 percent, respectively. Hawkins adroitly reveals that the sheer number of deaths don't have a major bearing on the level of sympathy elicited from the public to any given conflict. Disputes are filtered through an institutional consciousness determined by sets of competing geopolitical and economic interests that have little to do with the particular heinousness of crimes committed. The complicated internal dynamics of bodies such as the U.N. and the scramble for funds by non-governmental organizations working in conflict zones also often fall victim to such politicking. Hawkins finds that scholars not infrequently reflect this already-fractured mirror, focusing largely on conflicts or events that have already been pre-determined as important by various sectors of the powerful. When it comes to critiquing the media, Hawkins' footing is a bit less sure. 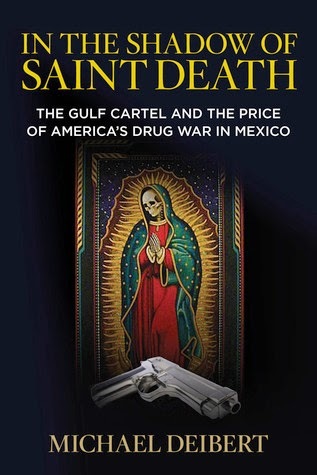 The book occasionally uses sources to explain media indifference that are less than trustworthy, such as the commentators Noam Chomsky and Edward Hermann, whose claims about press coverage of the former Yugoslavia and Cambodia have been convincingly debunked. But it is hard to find fault with Hawkins' contention that the decimation of foreign bureaus for the print media (particularly in the United States) has resulted in an ever-shrinking pool of coverage, with greatly disproportionate attention given to the Israeli-Palestinian conflict in comparison with other, more deadly, wars around the globe. 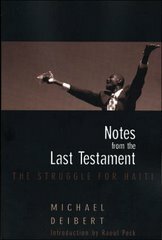 Michael Deibert is the author of Notes from the Last Testament: The Struggle for Haiti.